1878: A Mystery: Who was actually the Last Russian Emperor? historical event: It is well known that the famous Tsar Nicholas II Romanov abdicated during the Russian revolution of 1917. The next in line of succession was Nicholas’ brother – Grand Duke Michael Romanov. Did that make Michael the last Russian Emperor? Grand Duke Michael Romanov – according to some the real last emperor of the Russian Empire – was born on this day. It is well known that the famous Tsar Nicholas II Romanov abdicated during the Russian revolution of 1917. He also abdicated in the boy’s name (Tsesarevich Alexei was only 12 years old and was sickly). The next in line of succession was Nicholas’ brother – Grand Duke Michael Romanov. In fact, Nicholas II declared Michael heir to the throne. The question is whether Michael indeed automatically became the Russian emperor by this act. Specifically, Michael afterwards decided to delay assuming the throne, until the elections for a parliament are conducted. However, the day after Nicolai’s abdication, Michael was hailed as Emperor Michael II. Interestingly, Grand Duke Michael had an English nanny as a child – Mrs. Elizabeth Franklin. He grew up to be a quiet and unobtrusive man of good character. In his youth he fell in love with British Princess Beatrice – the granddaughter of Queen Victoria. He wanted to marry her, but his brother Tsar Nicholas II did not allow the marriage because they were first cousins. Later, Michael came in contact with lesser noblewoman Natalia Wulfert, which his emperor and brother also did not approve of. However, Michael secretly married Natalia in Vienna, in the Serbian Orthodox Church of St. Sava. When the emperor found out about the marriage, he almost went wild. He stripped his brother of his former military command, confiscated his property and banished him from Russia. It was only when the World War I started that Tsar Nicholas II allowed his brother to return to Russia, so that he could command the army defending his homeland. 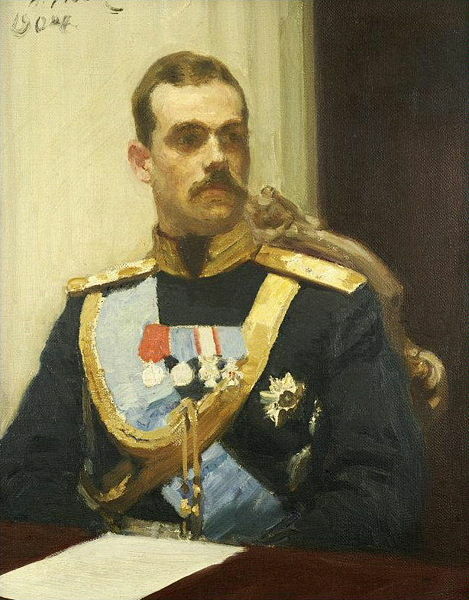 After the revolution and the mentioned abdication of Nicholas II, Mikhail, as a potential new emperor, found himself under attack by the revolutionaries. They put him under house arrest and later in prison. Russia was soon declared a republic, and Michael was extrajudicially executed by the Bolsheviks in a forest near the Urals.